While we’d all like to press the pause button sometimes, there’s no fighting Father Time. Particularly with children, who seem to grow right before our eyes. 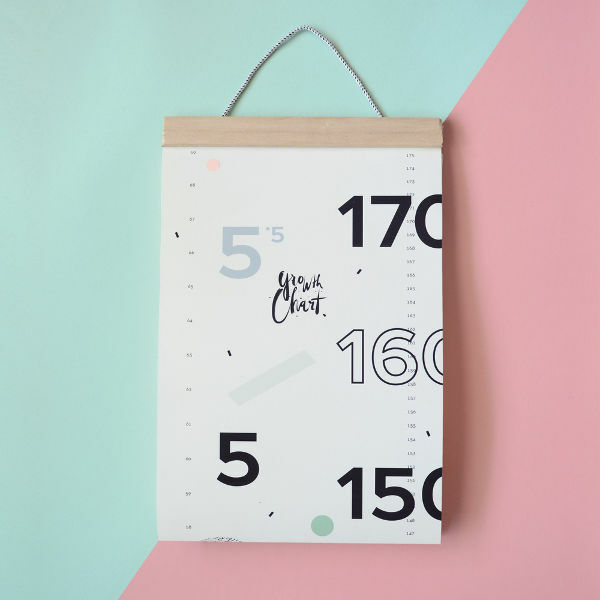 This beautiful growth chart will help you track said growth…and make you feel nostalgic. I’m a really big fan of tracking children’s height. My kids love seeing how much they’ve grown every six months, and I’m constantly surprised at how much they’ve shot up. However, I’m a bit old school, in that I track my children’s height on a door frame. Yes it looks a little messy – but every time I walk past it, I’m reminded of just how quick their childhood is flying by. 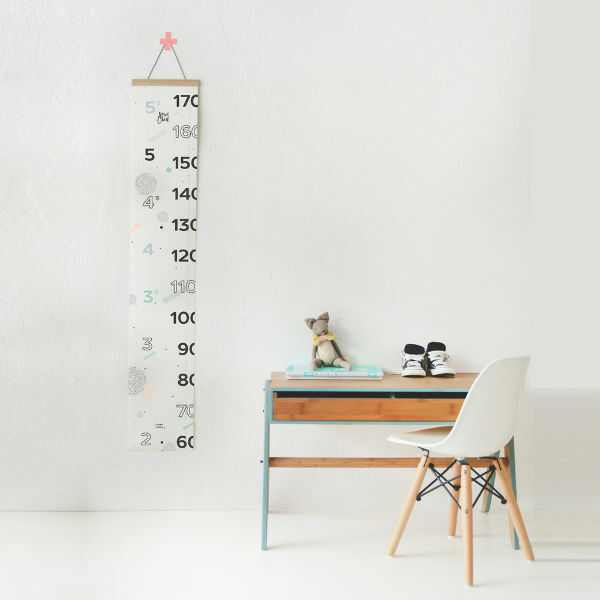 Writing on door frames isn’t everyone’s idea of stylish, so what about investing in this stunning growth chart? From Make History, this Growth Chart is beautiful in its simplicity. It has inches and centimetres, and room for jotting down names and dates. It’s a lovely unisex design, and in all honesty could be hung in any part of the house and wouldn’t look out of place. It’s printed in the Netherlands using chlorine and acid free paper, and costs €24.95, plus €5 shipping to Australia, from Make History.